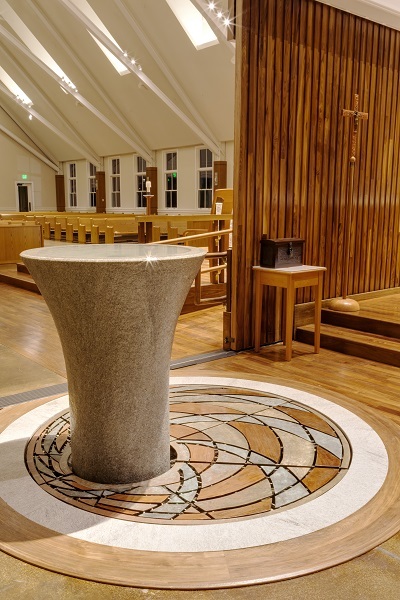 Do I need two Sponsors for baptism? Only one sponsor is required for baptism and the sponsor can be either male or female. However, customarily a person has two sponsors (i.e. Godparents). When a person has two sponsors for baptism, canon law requires that one sponsor be male and one female. What are the Qualifications for a Sponsor? A sponsor must be a Catholic, at least 16 years of age, baptized, confirmed, already receiving the Most Holy Eucharist and living a life in harmony with the faith and the role to be undertaken. If the sponsor is married, the marriage must be in accord with the laws of the Catholic Church. 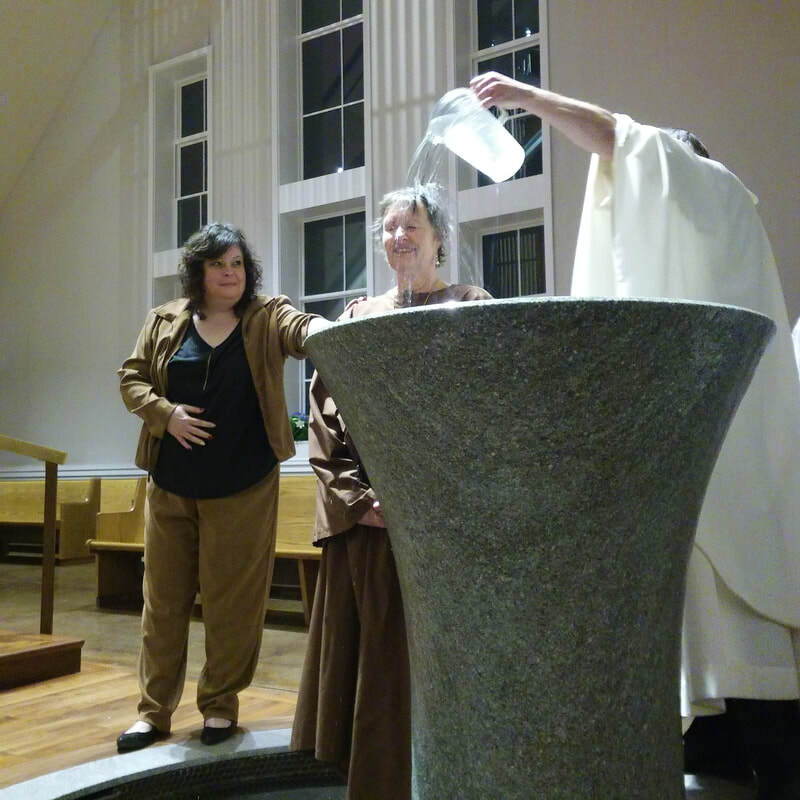 A baptized Christian from a non-Catholic ecclesial community may be admitted as a witness to the baptism but only together with a Catholic sponsor. Through Baptism, we are united with Christ and given a share in his saving ministry. We receive sanctifying grace and become true children of the Father and living temples of the Holy Spirit. We are incorporated into the Church, forgiven our sins and made holy in God’s sight. office on a case by case basis. The parents of infants are requested to attend an instructional class prior to the baptism of their child. Registration forms are filled out at the time of the meeting. Young children of school age undertake age appropriate instruction through the Religious Education Program prior to baptism. Please contact the parish office. Teenagers and Adults receive instruction through the RCIA program. They are baptized, confirmed and receive their 1st Communion at the Easter Vigil. ​For more information and dates, please call Sheilah Burleigh- Segatore, Coordinator of Religious Education at 508-224-3636, ext 111 or email stboncre@verizon.net.